With the Columbia River to the north and Blue Lake to the south, Blue Lake Regional Park offers 185 acres in a natural greenway just outside of Portland, Oregon. 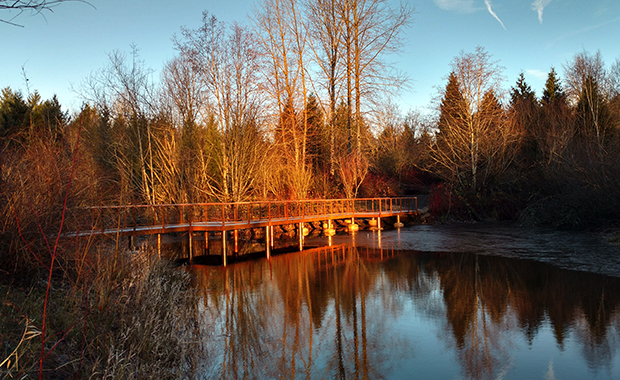 When three 25-year-old wooden bridges located in a wetland on the park’s eastern edge began to fail, Metro hired NNA Landscape Architecture to develop design options and construction documents for replacement bridge structures. At the same time, NNA developed a plan to repair asphalt trails that had become compromised by tree roots. NNA met with park staff to understand their desires and methods of operation. Together the team decided to resurface the asphalt trails with compacted crushed rock as a way to improve stormwater management while ensuring the trails remained accessible to a wide range of users. 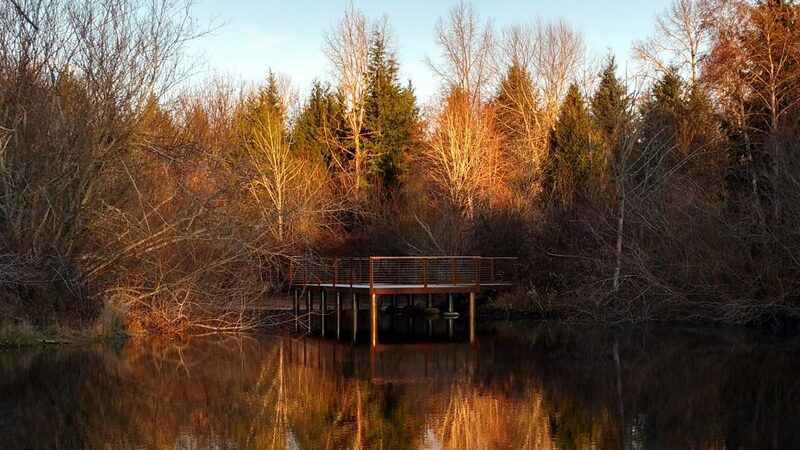 We recommended replacing the failing wooden bridges with steel structures incorporating fiberglass decking designed and engineered to fit on to the existing foundations. NNA’s extensive knowledge of both Oregon Department of State Lands and U.S. Army Corps of Engineers permitting requirements helped keep construction time to a minimum. 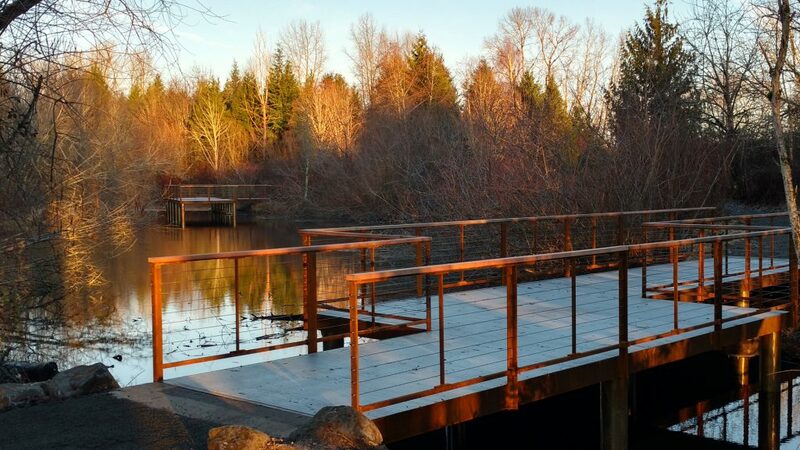 By avoiding removing the existing bridge footings and bridge supports, we were able to secure permits within six months of the project’s start date. 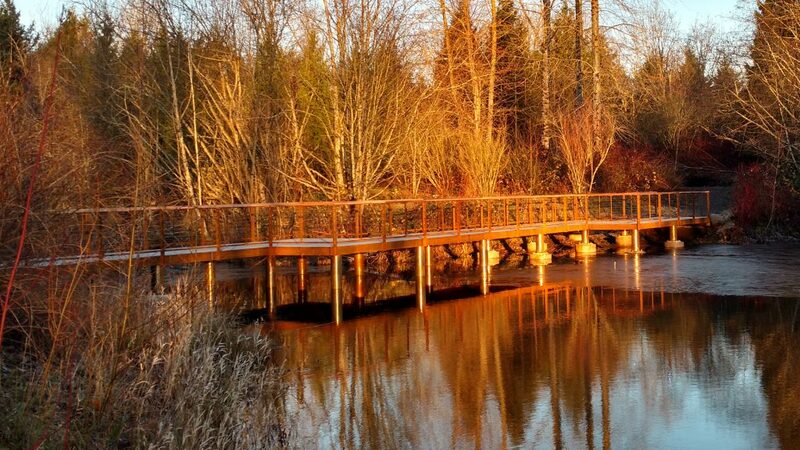 Our creative solution—constructing new bridge supports by strengthening the existing footings with a cap—also saved costs.